What is the Best Full Body Vibration Machine? 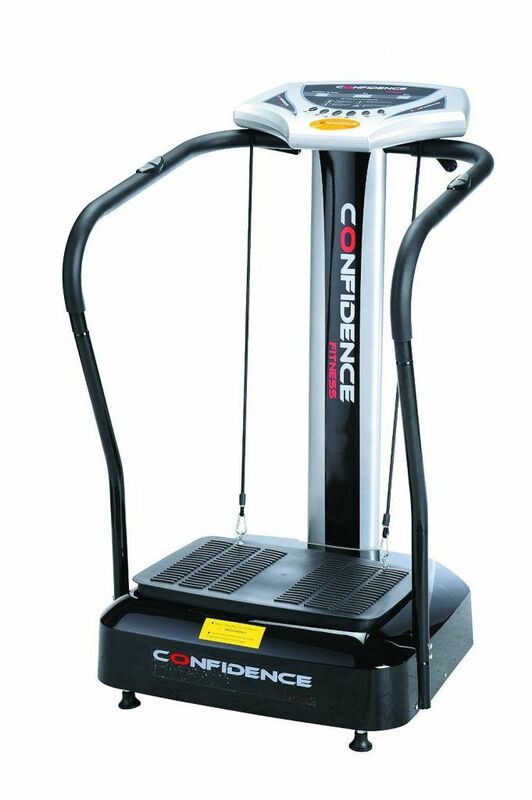 I would recommend the Confidence Slim Full Body Vibration Platform Fitness Machine. It’s the best in terms of price and performance. Is Whole Body Vibration Dangerous? In some situations. It is not recommended for people with gallstones or kidney stones. The effects of vibrations on the human body have been studied extensively. Low amplitude, low-frequency mechanical stimulation of the body is a safe and effective way for musculoskeletal structures to exercise. Whole body vibration machines can increase bone mineral density, enhance metabolism, elevate human growth hormone levels, and improved lymphatic flow. Whole body vibration also reduces cellulite for smoother skin. Can You Lose Weight by Using a Body Vibration Platform? 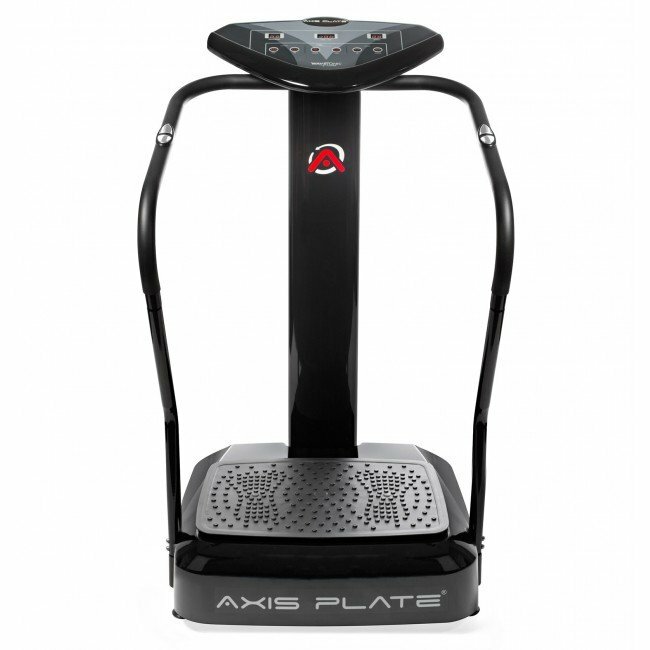 A vibration plate can help improve muscle strength, and weight loss is a result of reduced caloric intake. Using the machine does not increase your heart rate, so you’re not going to burn enough calories to lose weight. Do Whole Body Vibration Machines Help Osteoporosis? Vibration machines have not been proven to be effective in preventing age-related bone loss. Do Whole Body Vibration Machines help Parkinson's Disease? Some sources say that it might be an effective therapy, but it is difficult to find conclusive studies on the topic. Research is still being done in the field. Make sure to consult a medical professional. Do Whole Body Vibration Machines Help with Lymphedema? Some say that whole body vibration can assist with lymph drainage, but again, this is a question for a medical professional. Do Whole Body Vibration Machines Help with Arthritis? The sensation of vibrating may soothe pain receptors and warm aching joints. I have finally found a way to work out when I'm so tired that I can barely stand: A Vibrapower Disc! These exercise machines oscillate your body back and forth, forcing you to contract and relax different muscles to stay upright. You can exercise by simply standing on one of these machines. But you will probably notice some soreness in your thighs or abs the next day. If you are feeling less lazy than I am right now, you can also do vibration machine exercises. Common exercises include lunges, squats, balancing poses and even push-ups. Just remember to put your hands on the machine for push-ups instead of your feet. Even sitting on a vibration machine is also considered an exercise. Yes! Where did these crazy vibration machines originate? Some of the earlier models of these products were the Vibrodisc Exercise Platform, which came in bright primary colors. The more modern versions are now known as Vibroslim, and other companies have started to make competing products. Since there are now a lot of models to choose from, I'll share with you what I have learned. In other words, it helps the muscles contract involuntarily so as to induce the effects of working out without exertion of conventional workouts. Yoga straps enhance the effect of the Vibration plate when it comes to targeting and improving different muscle groups. The display console is user-friendly and has a simple navigation menu. For a model priced at the middle range, the VibroSlim Tone has many unexpected features. 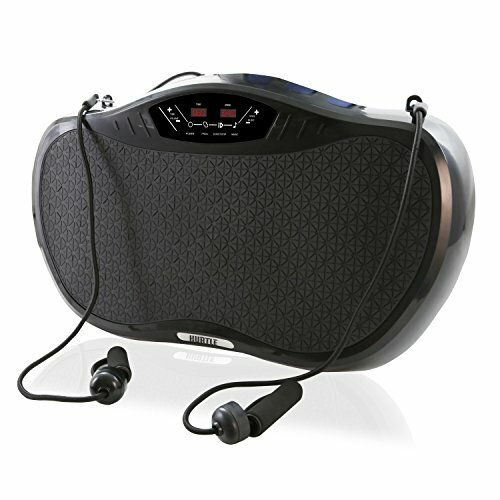 The Bluetooth connectivity and speakers are an awesome way to jam out (quietly) while the kids nap in another room. I also personally love having different colors to choose from. Black gets so boring after a while. Also, it's nice to have a colorful, easy-to-move (26 lb) machine. That said, I'm not a fan of the remote. Having kids means that remotes go missing despite every best intention. Another problem that I have is that the flat platform models with no grip bar also take some getting used to. (The first try is a bit intense). The primary reason that I would buy the VibroSlim Radial is the 3-year warranty + 30-day money back guarantee. That is a home gym gold-standard warranty in my book. The VibroSlim Radial is a bit more expensive than the Tone, but it comes with three different ways to vibrate. It's the only mid-price range model that I have found to have more than one type of vibration (most have side-to-side only). But there's no Bluetooth, so headphones are a must when using the Radial. I would also find somewhere to regularly stash this big boy. At nearly 50 lbs, it doesn't move as easily as it's 26 lb cousin, the Tone. One of the more popular options around, the Hurtle Vibration Platform is a cheaper way to test out if you love vibration workouts. I gave it a lot of threes because it seems to be very average: average size, average weight, and no special features. It's got the standard resistance bands and remote. One nice thing is that it does come fully assembled, so you can put just plop it's 33 lb body on your floor, plug it in and start working out. The warranty only appears to be a 30 day money back guarantee though. In all, it's a great place to start (as shown by the popularity of the model), but it's nothing really special. Like the Slim Full, the Axis gives you something to hang onto as you vibrate your cellulite away. This piece of mind is great, but it does mean that the machine is large and weighs 62 lbs. The Axis is a bit cheaper than the Merax but comes with similar features. The warranty is optional, but it actually exists. The main complaint about the Axis is that it is difficult to assemble. It comes with all the bolts pre-installed, which sounds lovely until you learn that you have to remove a couple to install the resistance straps. Although there is some assembly required, at least you won't be losing the remote because it has a display. The Pinty is another small vibration platform with no handholds. What makes it special is that it is the cheapest that I researched. Despite the low price, it has a good number of options and features. As I've mentioned, black gets boring, so I love that the Pinty comes in white, gold, red, pink and, of course, black. It's a light model at 35 lbs and can be easily moved around. We're back to remote operations, which are used to control 99 speeds. Like some other models, the power cord easily gets pulled out, and the warranty appears to only be a 30 day policy. But, hey, that's kinda what you expect for the cheapest model that I've found. Why is "crazy fit" such a popular name for these vibration platforms? Anyway, the Hurtle version of the Crazy fit is a small flat vibration platform. In fact, it is the lightest one that I researched at only 25 lbs. Unfortunately, the light weight means that it is prone to rattling so that it may be a bit noisier than other models. 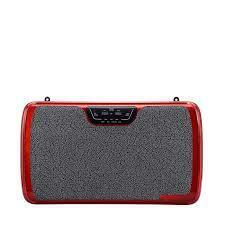 However, you can rock out to music via Bluetooth enabled speakers. Plus, there is an optional 2-year warranty. Not bad! It's got some great features for a cheaper model, and you can always use the speakers to drown out the noise of the machine, right? 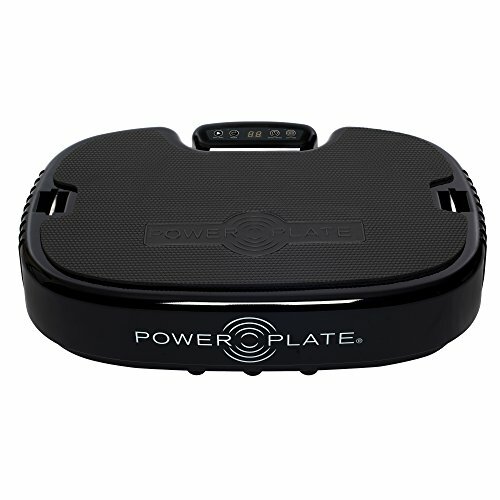 My Power Plate review starts with the question - why is it so expensive? It's obviously a nice product. 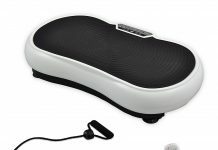 The Power Plate even comes with its own carrying case and app, unlike any other vibration exercise machine I reviewed. It looks pretty sleek compared to the others. It also has a decent 1-year warranty included. It still is a one for price and only a three for features. There's no Bluetooth speakers or other fun features. And, yes, it does appear to only come in black. It seems like a great product, but I'm still struggling to see why it is so much more expensive. The best vibration machine always depends on your own home gym needs. Does the thought of vibrating off the platform freak you out? Think about selecting a model with hand rails. Are you on a tight budget? Consider one of the small light platforms. Do you hate losing remotes? Well, that's also something to consider. Or, maybe, like me, you just want to have one home exercise product that is gold instead of black. It's up to you!